Target has expanded its Cloud Island nursery decor brand into baby products such as diapers, wipes and bottles. Minneapolis-based Target also launched a swimsuit brand this month called Kona Sol and is partnering with designer Leanne Ford of HGTV’s “Restored by the Fords” for a limited-edition addition to Project 62 lighting. The company has launched more than 20 private-label or exclusive brands in the past two years. In 2017, about one-third of its $71.9 billion in sales were from these brands. Already, two apparel brands — Cat & Jack and A New Day — have passed the $1 billion mark in sales. The Cloud Island expansion is a continuation of Target’s effort to increase its market share in the baby and children’s categories after the bankruptcy of Toys ‘R’ Us and Babies ‘R’ Us. The retailer made a huge push to increase its toy business by expanding both the number of items and footprint in stores of the toy department. With the Babies ‘R’ Us closures comes the opportunity to increase both essentials and registries businesses. 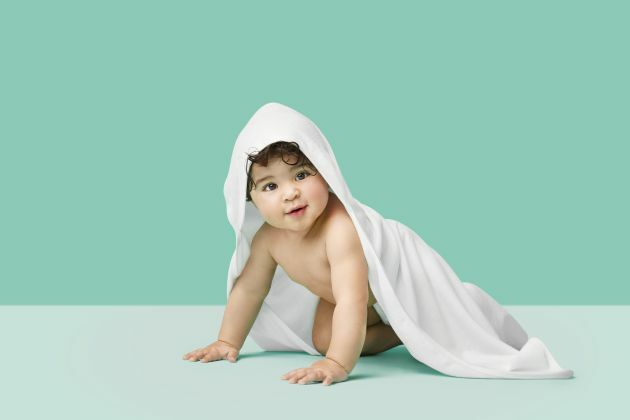 According to CNBC, Walmart has revamped its baby section on its website, and Amazon has quietly launched a diaper brand called Earth + Eden. Target has reported inroads into the baby category. It was one of the strongest performers in the all-important holiday season, and Target’s baby registry business increase was in the double-digit percentages, the company said. ssortment and also met with pediatricians and dermatologists to make sure the items had their stamp of approval. The process has taken two years, and with the success of Cloud Island, it made sense to Target to expand the brand with the new products. Target used the same type of thinking in developing the Kona Sol line, the retailer’s first private-label swimwear brand. The company says it has been the biggest seller of swimwear since 2015, so employees wanted to build on what already was a success not change it.
. With the addition, the store now offers more than 1,500 styles in women’s swimsuits, including the Xhilaration and Shade & Shore brands. Target will continue to add to its exclusive partnerships next month a limited-time partnership with interior designer Ford on Project 62 lighting decor. The Ford-curated items will hit the store and website on Feb. 10, with prices starting at $29.99. The 30 Ford items will include light bulbs, which are included so the bulb — and the light emitted from it — complement the design of the lamp or fixture. All cords will be fabric-covered, and the lights themselves will be made from substantial materials.